EA's problems have poisoned the well, but there's still plenty of reason to give Battlefield a chance. I was taken aback when the first previews of Battlefield 5's "single-player "War Stories" rolled in last month. Where I thoroughly enjoyed BF5's little snippets of history in my initial hands-on, other writers dismissed them as disappointments. All the sudden one of Battlefield 1's most celebrated features was no longer up to scratch, or so it seemed. That's been the lot of Battlefield 5 over the run up to this week's release. Once considered one of the marquee releases of the season, DICE's classic team shooter has suffered from a kind of anti-hype rarely seen for such a major game. Analysts have been predicting for months now that Battlefield 5 will struggle. With preorders lagging behind Black Ops 4 in August, the analyst firm Cowen predicted "serious disappointment" for the series. "If we had to pick one game to be a casualty of the crowded October window, this would clearly be it," said analyst Doug Creutz. The dire predictions are predicated on any number of factors: the perception that World War II shooters are tired, the loot box firestorm that enveloped Battlefront 2 this time last year, and the all-too-familiar backlash against DICE's decision to make women one of the multiplayer customization options. That's on top of key modes like Battlefield 5's battle royale ("Firestorm") getting pushed into 2019, and of course, the all-consuming presence of Red Dead Redemption 2. Based on all this, you would think EA was on its way to a Battleborn-like disaster with Battlefield 5. And yet, Battlefield has been one of the few bright spots for EA amid a litany of disasters for the company. Mass Effect, Need for Speed, Star Wars Battlefront, and to a lesser extent, FIFA and Madden, have all dropped off in one way or another, but Battlefield has soldiered on. Just two years ago, Battlefield 1 earned plaudits from fans and critics alike as one of the best shooters of 2016. 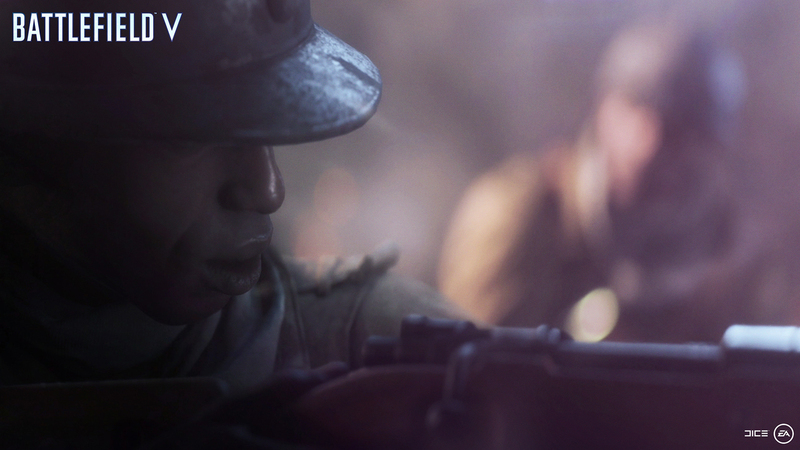 The new Operations mode proved popular, and War Stories were lauded for their sensitive portrayal of history. We all agreed for the most part that Battlefield 1 had succeeded in its quest to make a multiplayer World War I shooter: something that had been generally considered unfeasible up until that point. Battlefield 1 continued a relatively positive run for the series stretching back to the Xbox 360 era. Though never as popular as the faster-paced Call of Duty, it has nevertheless retained a strong following. Even Battlefield 4, derided at launch for bugs and server issues, has managed to retain a healthy multiplayer population through 2018. It owes its relative strength to its novel scale, loyal fanbase, and general quality. Since long before PUBG or Fortnite arrived on the scene, Battlefield has offered massive sandbox-like maps with destructible environments and neat setpieces. It's traditionally been the opposite of Call of Duty: a deliberately paced shooter in which maps can sometimes take an hour to complete. Its return to World War II, derided by some, felt like a no-brainer after Battlefield 1. Battlefield had a protracted run in the modern era, but at heart it's always been a historical shooter. Many of its best-loved maps—Wake Island, Iwo Jima—originated in Battlefield 1942. Battlefield 1 teased a return to the era in which the series began, but Battlefield 5 promised to be the real deal. Somewhere along the line, though, things turned. The Battlefront 2 debacle seemed to poison the well, leading fans and analysts alike to treat every new EA release with suspicion. It didn't help that Call of Duty beat Battlefield to the punch with its own World War II shooter, and that it wasn't particularly good. All of the negativity around EA has served to sap Battlefield 5's momentum. At this point, people seem to be assuming that it won't just be disappointing from a sales perspective, but that it'll be actively bad. And yet, from what I've been able to play, Battlefield 5 seems pretty much as good as ever. Maybe even better in some ways. Let's start with the single-player. Battlefield 1 was lauded for capturing the full breadth of World War I, often illuminating lesser-known conflicts like the Alpine Front. Battlefield 5 is much the same. 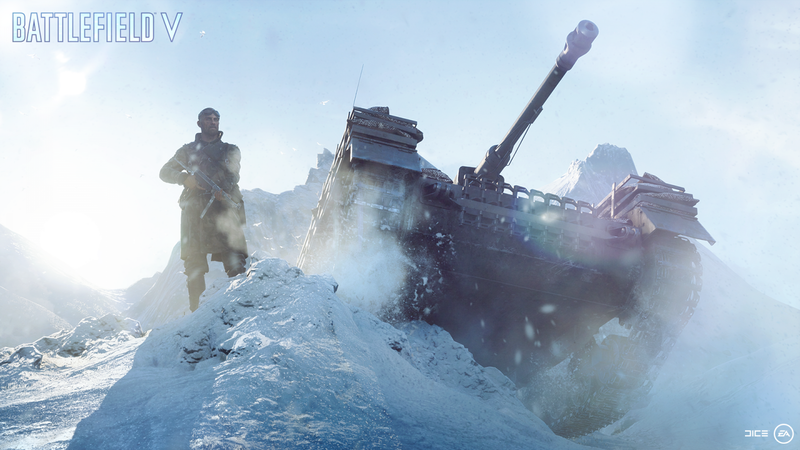 Where Call of Duty: WW2 sticks comfortably with Normandy and other familiar locales, Battlefield 5 features everything from the Norwegian Resistance to the little-known Tirailleurs from French North Africa. To me, at least, this approach still feels fresh and engaging—a far cry from the stale and toothless single-player campaigns in military shooters. Battlefield 5's single-player doesn't rise to the level of Titanfall 2 or Wolfenstein 2, but it still has its moments. The Norwegian Resistance chapter in particular features beautiful snowscapes and a pleasingly open-ended design, and even the stealth sections aren't too overbearing. EA has caught a lot of flack over the past couple years for its focus on "multiplayer platforms" over satisfying solo experiences, so it strikes me as a tad unfair to knock War Stories. From my perspective, EA is making an honest effort to deliver a unique and nuanced single-player campaign. After so many battles in Stalingrad and the hedgerows of France, it hardly seems right to complain about a solo campaign with such a breadth of different experiences. In other areas as well, DICE strives to respond to fan feedback. You may not like the slow drip of content offered by Tides of War, but it's a fair sight better than the season passes of old, which concentrated new maps into large paid expanses that split the fanbase. 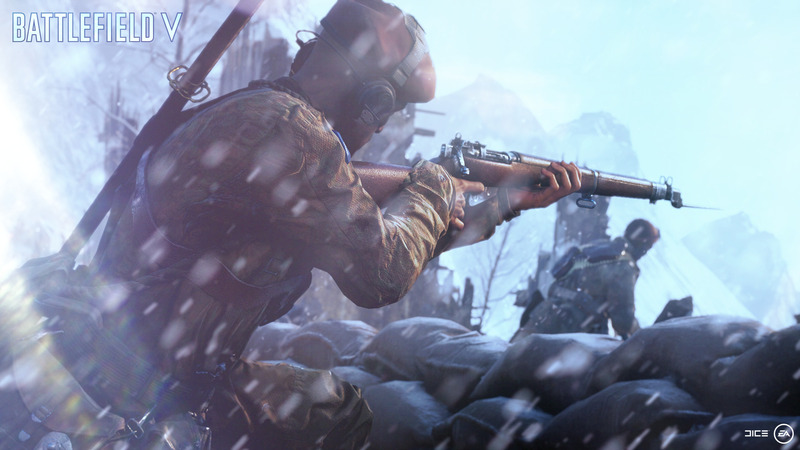 Paid cosmetic items will be coming at some point, but Battlefield 5 thankfully does away with the old Battlepacks, which were simply loot boxes by another name. It will have eight maps out of the box—one fewer than Battlefield 1 had at launch—with at least two more by next March. That's just over half the number of the maps in Black Ops 4, but Battiefield 5's locations are far larger than those found in Call of Duty. And where Black Ops 4 will tail off around May or June in preparation for the next Call of Duty, Battlefield 5 figures to continue putting out new content well into 2020 (EA has all but confirmed that classic maps will be making a return). If you're feeling cynical, take a look at Battlefront 2, which is putting out a sizable Clone Wars update this winter. Beyond that, Battlefield will be the same as it's ever been. Like Battlefield 1, Battlefield 4, and every other entry before it, it will be a massive sandbox shooter with incredible graphics and huge player counts. You will hop into a tank and mow down Nazis. You will see buildings explode around you. You will get no-scoped by a sniper parachuting out of an exploding plane. You will think you can fly and crash into a mountain by mistake. Battlefield has been my shooter of choice going back to Battlefield 1943, where I cackled as I unleashed air strikes on unsuspecting campers. Its wealth of options and vehicles, not to mention its sheer scale, has captivated me for close to a decade now. And I know I'm not alone. Battlefield 5 won't match the success of Black Ops 4, nor even the success of Battlefield 1, which was the second bestselling game of 2016 (after the much derided Infinite Warfare). Unlike Call of Duty, Battlefield isn't bulletproof. But absent some kind of massive debacle—which, hey, it's EA—it should do fine. In the meantime, Battlefield 5 should be allowed to succeed or fail on its own terms, free of the baggage of EA, microtransactions, and Battlefront 2. I'll be reviewing it over the next week, and I will be returning a verdict before it launches for everyone on November 20. But in the meantime, I'd say give it a chance. Who knows, you might even like it. Tagged with dice,	Electronic Arts,	Opinions,	PC,	PlayStation 4,	Shooters,	Xbox One.